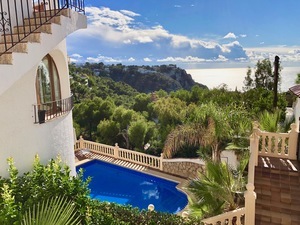 Your agency offers for sale a Villa located at Javea in the popular neighborhood of La Granadella. With 2 bedrooms and 2 bathrooms. This pretty Villa was built on a plot of 1000m2. Totally equipped with double glazingPrivate pool. Must be seen !!! 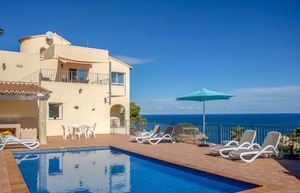 Javea villa for sale with sea views, on 3 levels in a very quiet location, south facing and in excellent condition. the villa has a total of 6 bedrooms and 4 bathrooms, ideal for investment, holiday home or to live all year round. 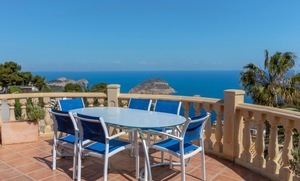 We offer you a Villa located at Javea in the neighborhood of Ambolo. Consisting of 4 bedrooms and 2 bathrooms. This Villa was built on a plot of 1170m2 (facing south). Totally equipped with double glazingPrivate pool. Must be seen !! !